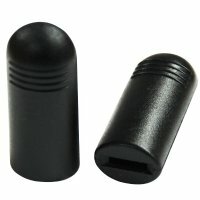 Black rubber grip for wheel locks, help keep a firm grip on your brakes. Make sure your brake grips are in good condition, a bad brake grip could be a serious problem with operating your wheel lock. Many sizes available to fit your needs. Grip Slot Size: 9/16" x 3/16"
You can earn 5 Ocelco Cash Reward Points on this product!